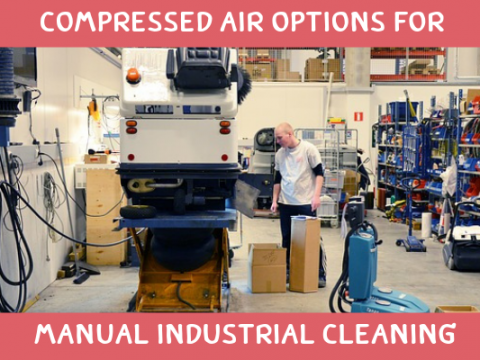 Compressed air is used in many industrial cleaning applications. This ranges from blowing off a workstation to cleaning blind holes and even using the Hand Vac to vacuum hard to reach areas. 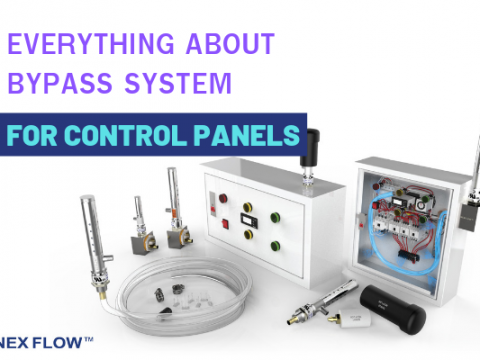 In this article – Nex Flow discusses some of these options and the advantages of different systems. Safety air guns are used for all kinds of cleaning applications although in some jurisdictions they are not allowed to be used for personnel cleaning of clothing by law, even if they are safety guns. 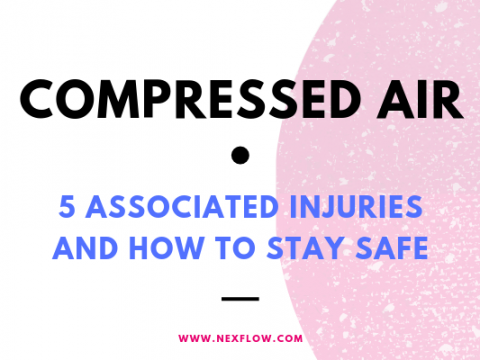 This is understandable as compressed air, although very safe in many aspects, can be dangerous if used irresponsibly. 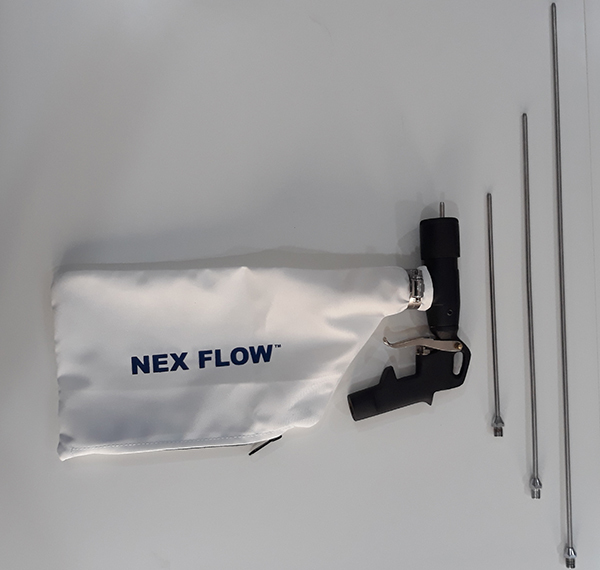 There are four different Safety Air Blow Guns offered by Nex Flow (listed below), all meant to be used in production applications. 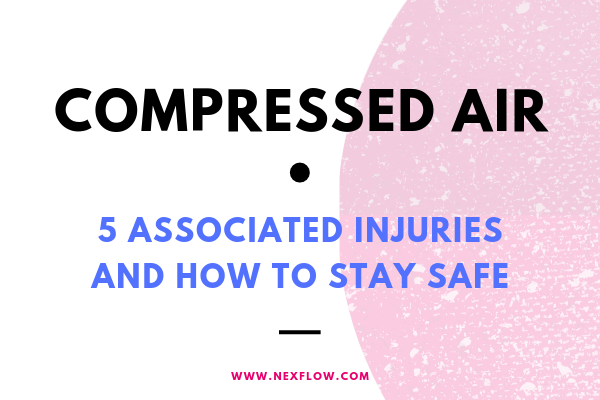 The advantages of each air gun is their ergonometric design and all of them incorporate safety air nozzles which effectively reduce noise and energy use while in compliance with OSHA safety standards for dead end pressure. The Easy Grip Light Air Gun incorporates the Nex Flow 6 mm Air Mag nozzle and is used primarily for blow off applications on small parts and to blow off and clean small spots. The Standard Easy Grip Air Gun is larger with a ¼” outlet for larger spot blowing applications and is compatible with a variety of Nex Flow safety nozzles, including the ¼” Air Mag nozzle and even the Air Edger flat nozzle. It also comes with optional extensions of various lengths for accessing hard to reach areas for blow off and cleaning. Our Hand Comfort Button Gun is designed for those that prefer a button style rather than a trigger style gun for small blow off applications. As with the Easy Grip “Light” it is used for smaller blow off applications. The nozzles used are limited to 1/8” connections or smaller. The same 6 mm Air Mag nozzle used on the Easy Grip Light can be adapted to the Hand Comfort Gun. Whether you use the Easy Grip Light or Hand Comfort Gun really depends as much on preference of the user as the particular application. For hard to reach applications where extensions can be of help, the Easy Grip Safety Air Gun would be used. For very heavy duty cleaning applications a much larger capacity Safety Air Gun is necessary. 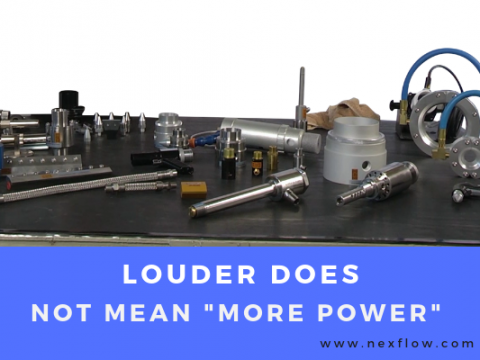 Nex Flow is one of the few manufacturers of such Safety Air Guns. 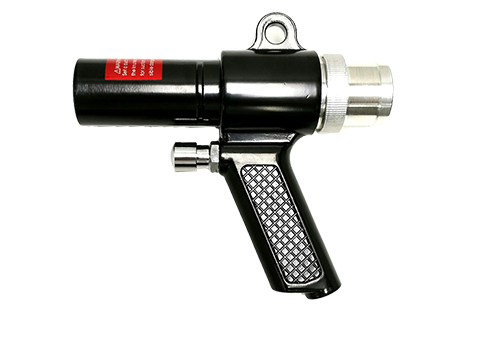 The Heavy Duty Safety Air Gun has a ½” outlet and is used with the ½” Air Mag nozzle. 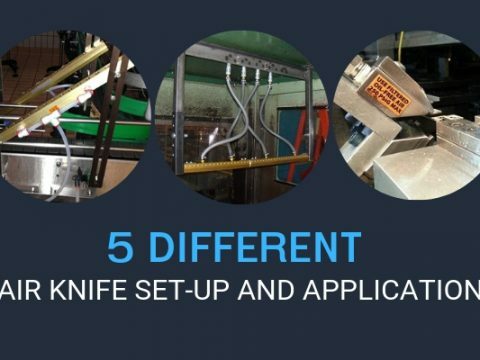 These guns provide a powerful force necessary to clean large machinery such as those found in steel plants, and paper mills and other large manufacturing environments. As with the Easy Grip Safety Air Guns, these Heavy Duty Safety Air Guns can also be provided with extensions to get closer to and into hard to access areas such as moving paper in a paper mill or blowing off waste metal from metalworking products. Since these air guns are heavier and provide more force, the air gun should be heavily ergonometric in design for comfortable use. Any extensions should have a rubber grip to hold the system securely when being used. Such air guns are never to be meant for personnel cleaning or light machine cleaning since they provide much more force than needed in such lighter duty applications. The X-stream Hand Vac is an interesting device in that it is both a blow gun and a vacuum gun. As with Nex Flow air nozzles, the X-stream Hand Vac meets OSHA pressure safety requirements. The system uses a built in Venturi generator inside which can be reversed so that in one direction it acts as a blow gun and in the other as a vacuum gun. This gives it the flexibility of use as an option for cleaning both clothing and machinery by using vacuum to clean up dust and dirt. The unit is lightweight, portable and versatile. Various attachments come with the unit which include extensions to extend the reach for both blow off and suction, and a soft bristle brush that is attached directly to the unit or to the extension which makes for easy cleaning in vacuum mode. When used in vacuum mode, the dust collected can be conveyed by a hose that is supplied and attached to the opposite end of the gun, into a container. 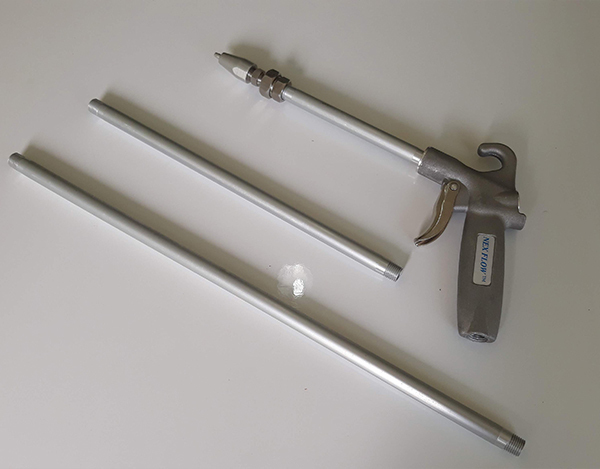 As an option, the hose can be replaced with a collection bag connected to the opposite end of the air gun. The hose and collection bag along with brush attachment and extensions are supplied along with a clamp to hold onto the unit in the all-purpose Hand Vac kit. In addition, there is a skimmer attachment used with the extensions for light vacuuming. 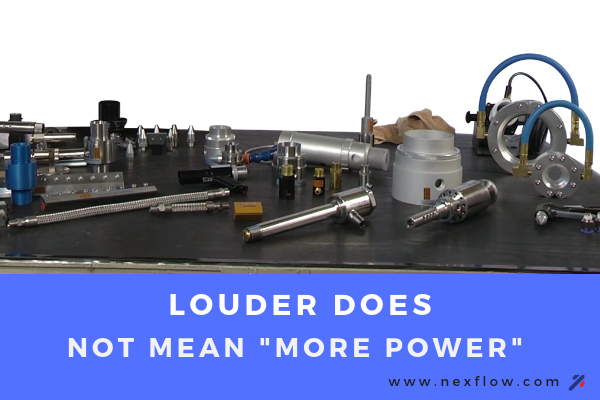 As a blow gun, the unit has a wide area for blow off as opposed to a point so it is easier and faster to use to clean larger areas especially. The outlet diameter is 1-1/4” (32 mm). The unit is also energy saving in that it amplifies the air flow by 12 times the air consumption rate. Hence apart from blowing and cleaning surfaces, the amplified flow is ideal to dry surfaces quickly because of the wide surface area covered. Other than blowing, cleaning, drying and vacuuming, the X-stream Hand Vac can be used for conveying materials. 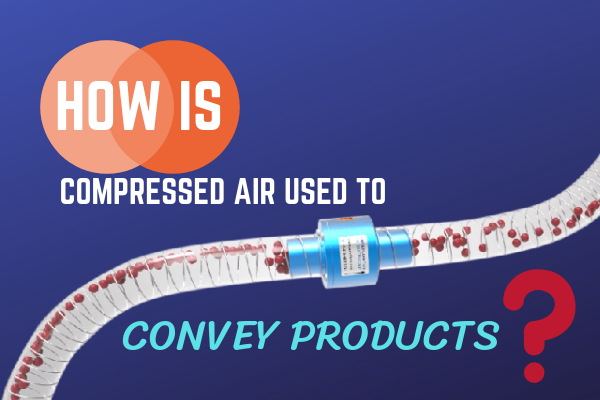 Transferring material over a long distance is possible by using the unit in vacuum mode with the smooth interior vacuum hose supplied. 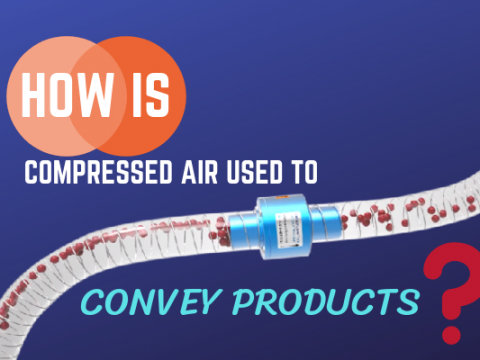 Transferring material up to ten feet (3 meters) is easily done by placing the Hand Vac (in vacuum mode) into the container with the material to be transferred and the hose end into the container at the desired location. 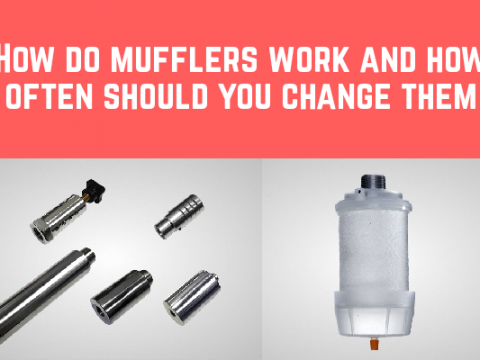 While it can act as both a vacuum and a blow gun, it may not be as powerful as necessary and sometimes too big for a blow off application. Hence there is still a need for safety air guns. Yet, the X-Stream Hand Vac fills an important gap that safety air guns alone cannot achieve due to its unique design and flexibility in use. The Blind Hole Cleaning System came about primarily for safety reasons. When blowing dirt and debris from deep holes, this material can be scattered around making a mess and can also be dangerous as it can get into your eyes and sharp pieces can even cut the skin. There have been some versions where units like the X-Stream Hand Vac are converted into blind hole or deep hole cleaning system by having the unit in vacuum mode. Then drilling a hole in the blow off end, and running a small tube to an attachment put over the vacuum end. This attachment is put flush over the deep or blind hole, and the tube blows into the hole, taking out the dirt and debris which is where the vacuum portion is supposed to take out. 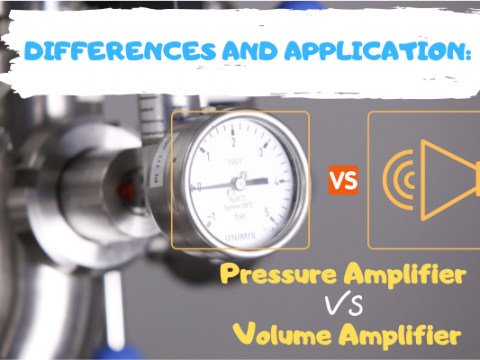 However, the problem with such units is that the blown air from the small tube works “against” the vacuum or suction effect of the main unit. While they work to some extent, it does not always clean effectively, especially if sticky or heavy material and debris is stuck in the hole. 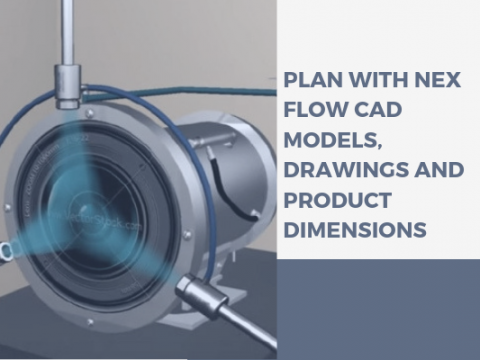 The Nex Flow Blind Hole Cleaning System does not use the above method, so as a result it provides a much more reliable result. In fact, it does not use vacuum at all. 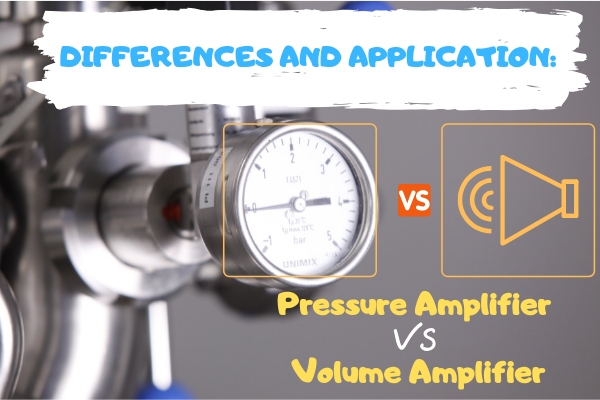 It works by blowing strong, high pressure air through various lengths of small tube (depending on the depth of the hole up to a depth of 52.5 cm or 20 inches). The hole is completely covered by a larger rubberized adaptor to prevent debris from flying out. 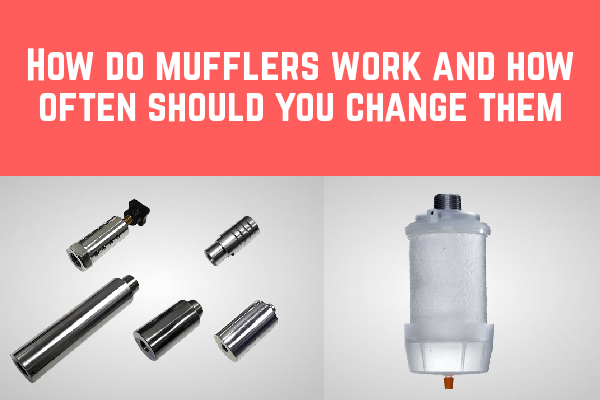 There are three different adaptor sizes depending on the diameter of the hole (16 mm, 20 mm and 25 mm diameters). Attached to the adaptor on the air gun which is part of the system, is a removable collection bag that collects the dirt and debris that is blown out. Simple but very safe and effective in that all the debris is contained by the adaptor which is flush with the hole. You cannot use just a safety gun for this application because the material removed will scatter making a mess and can also be dangerous. Likewise – it is fairly impossible to vacuum out deep hole because the vacuum force is typically not strong enough. 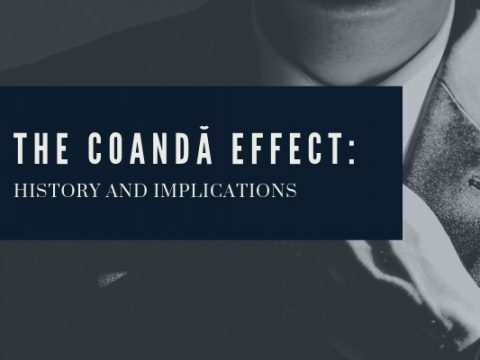 A combination of blowing and vacuuming also does not work because the effects counteract each other (it’s like pushing and pulling at the same time). Therefore many chooses our Blind Hole Cleaning System for its safety and effectiveness. 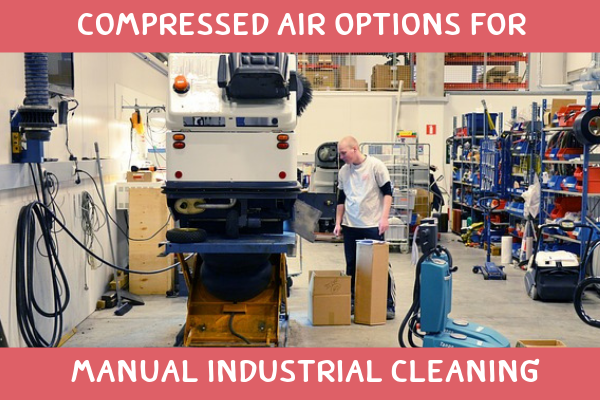 The next time you consider using compressed air for industrial cleaning, don’t forget to think of your application. 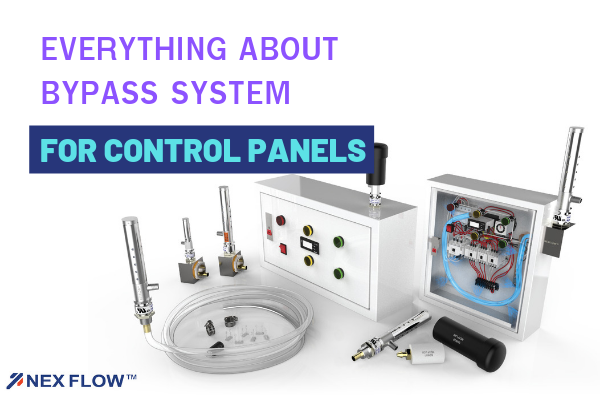 Whether you choose Nex Flow’s Safety Air Gun, X-stream Hand Vac or our Blind Hole Cleaning System depends on what you are cleaning. A smaller safety gun may be sufficient to clean a small area. For larger area, perhaps a Hand Vac will do. For Heavy duty cleaning – you may want to consider the Heavy Duty Safety Air Gun and for deep or blind hole you would want to choose a special system like the Blind Hole Cleaning System.